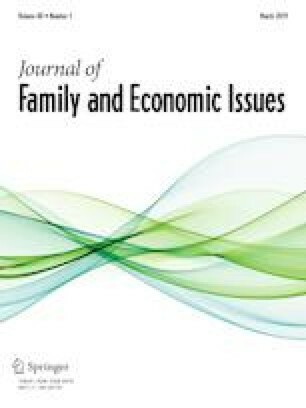 This study investigated the association between financial assets and bequests expectation, specifically whether having depression moderated the association. Our sample included 10,340 middle-aged and older Americans from the 2014 Health and Retirement Study. Results from ordinary least squares regression models showed a positive association between financial assets and bequests expectation, whereas a negative association between depression and bequests expectation. Furthermore, a moderating role of depression was revealed. Specifically, the relationship between financial assets and bequests expectation was stronger for individuals with depression than for individuals without depression. Future research and practice should incorporate perspectives of both financial assets and depressvie symptoms to more effectively help individuals and families deal their current financial situation as well as identify their estate planning needs. We also discuss public policy implications of the findings. Portions of these findings were presented at the 2018 American Council on Consumer Interests Conference. Cox, D., & Stark, O. (2005). Bequests, inheritances and family traditions. Working Paper No. WP #2005-09. Boston: Center for Retirement Research at Boston College. https://doi.org/10.2139/ssrn.1148982. Hartnett, S. C. (2014). Depression, mental illness, and estate planning attorneys. American Academy of Estate Planning Attorneys. San Diego, CA. Retrieved from https://www.aaepa.com/2014/08/depression-mental-illness-and-estate-planning-attorneys/. Kvaerner, J. S. (2018). How strong are bequest motives? Retrieved from https://ssrn.com/abstract=2985465. https://doi.org/10.2139/ssrn.2985465. Roberts, G. (2009). Retiree plans ruined by financial crisis. ABC News, PM Program. Retrieved from http://www.abc.net.au/news/stories/2009/07/15/2626558.htm. Sargeant. A., & Shang, J. (2008). Identification, death, and bequest giving. Association of Fundraising Professionals. Retrieved from https://www.afpnet.org/files/contentdocuments/Sargeant_Final_Report.pdf. Tuttle, D. (2004). Cortisol: Keeping a dangerous hormone in check. Retrieved from http://www.encognitive.com/files/Cortisol.pdf.